We became involved with Caring For Life when Esther Smith came to speak to Headingley Rotary in 2000. She, with Peter Parkinson, a Baptist minister, had set up an organisation in 1987 to support and give a permanent home to young people who had been abused, were destitute or living on the streets. 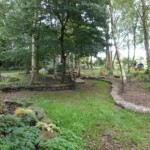 To begin with we helped in a gardening capacity, working on their conservation area at Crag House Farm, which they had made their base. Soon after that, in the Spring of 2002, we began adult literacy and numeracy sessions, because a number of their residents had real needs in acquiring these skills. Both of these activities have continued since then. 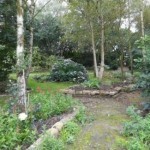 Gardening takes place on the second Wednesday of each month, except in the mid-Winter months. Those regularly involved at present from the Club are: Jim Harrison (organiser), Michael Coles, Robert Gee, Alan Griggs, Don Hallatt, Melvyn Jones and Philip Sunderland. The literacy/numeracy commitment has grown to 11 tutors at present, not all Rotarians but all part of our team, teaching 18 students on a one-to-one basis. Each student usually has a weekly lesson, which can vary in length from 30 minutes to an hour and a half, depending on concentration levels. The current tutors from the Club are: Michael Coles, Colette Crossen (joint organisers), Ed Dodman, Alan Griggs, Peter Morris and Philip Sunderland. The non-Rotarians are: Sue Morgan, Olive Rummings, Doug Tidswell, Joan Turner, and Pat Van Lemmen. The story of CFL, ‘The Deafening Sound of Silent Tears’, by Juliet Barker, published in 2007, is an excellent and very readable account of what has happened since 1987 (the Club has a copy for anyone to read). In the last ten years, however, the farm has developed beyond recognition. Financial support, much of it from local business, has enabled the building of a new adult learning centre and the new granary. 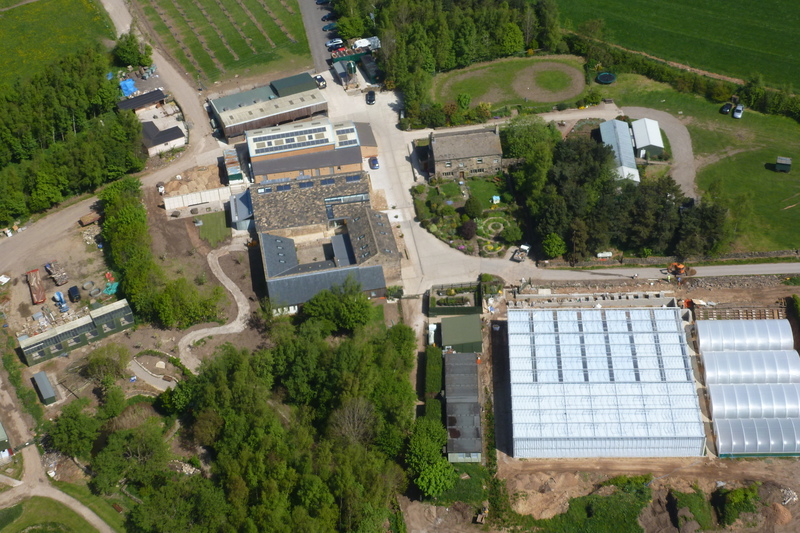 A new equestrian centre is under construction and enormous greenhouses, provided by a donor, have been erected below the car park. But the past year has not been an easy one. Peter Parkinson indicated in his February bulletin that in December, 2012, ‘…it looked as though for the first time for a long time we would not be paying salaries’. The main reason was that the £330,000 government funding available in previous years ceased in January, 2012. Peter has made it clear that this situation was, in fact, desirable for CFL, because such funding always came with conditions and restrictions, and compromised ‘our Christian and spiritual objectives’. In addition the funding was unreliable and always likely to be withdrawn, making future financial planning in the present economic situation impossibly difficult. The £330,000 per annum has, however, to be raised through private funding and donations. These have to cover the day-to-day running costs of the whole organisation. 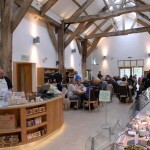 The new granary and food shop have been extremely successful – even more than expected – and will help towards raising this huge amount each year, but Peter has asked supporters to consider making a regular contribution of anything from £5 to £50 a month, depending on what they can afford. 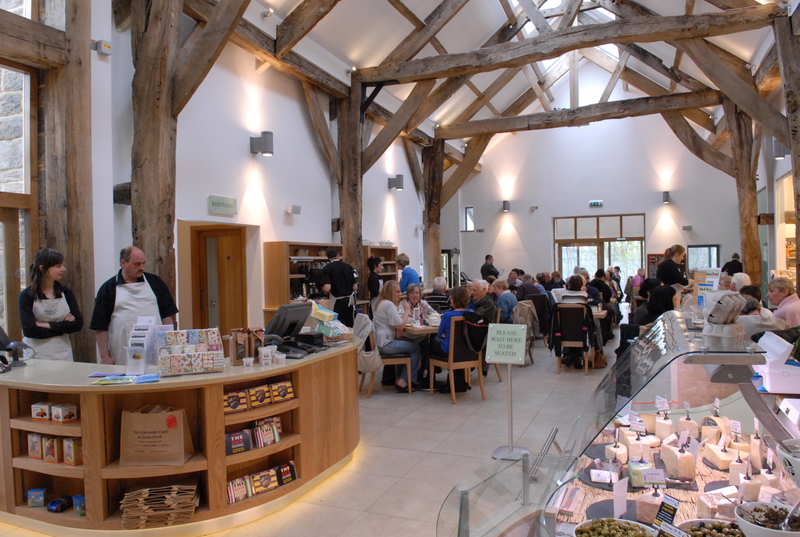 It clearly helps to eat in the granary, too, and get a marvellous lunch or dinner into the bargain. It is impossible to estimate exactly what we, as a Club, contribute financially to CFL, and it would not be particularly helpful to do so, because CFL relies totally on voluntary contributions for so many activities on the farm. Our main contribution on the literacy/numeracy side is not only to improve these vital skills, but also to continue to build up relationships with very vulnerable people over a period of time. It is beneficial for them to know that there are adults outside their immediate environment who care about their progress. Sensing their own progress is so important in improving morale and confidence. The work that goes on regularly at CFL in drama, music, and art and craft, all conducted by permanent members of staff, is tremendous. The staff are not only dedicated, but extremely talented. The productions of ‘The Pilgrim’s Progress’ and ‘A Christmas Carol’ last year were remarkably good and the standards in art and music are there to be seen and heard. Several of us have been working more closely with the staff in these areas. We trust this will continue. Each year more supporters come, largely though not entirely from evangelical church support groups and as far away as America, Albania, Spain, Greece, Wales and Ulster. 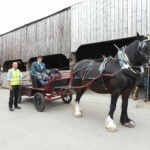 Since last year so much at Crag House Farm has changed and there was the opportunity to see the different projects that are open to the residents of Tindall House and Wendy Margaret Home as well as to the many groups who come to enjoy the great number of therapeutic opportunities there. Michael Coles still helps with the literacy tuition and for the last five days he has been in every day helping Drama specialist Joanna Cooper polish the two productions we saw in the afternoon: the first an abridged version of ‘Henry V’ followed by a comic sketch set in a munitions factory, not a little influenced by ‘Dad’s Army’. The actors were all residents of the scheme, many of whom have overcome enormous communication problems. We had all the main speeches of ‘Henry V’ as well as those superb scene-setting speeches by the Prologue before each act. 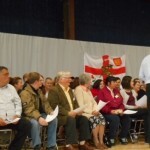 This was a great way to celebrate the community and the choir’s rendition of Non nobis domine following the English victory at Agincourt, echoed the sentiment of the address by Jonathan Parkinson at the service in the morning. 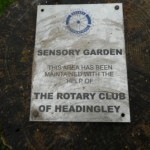 The other thing I did was to walk in the sensory garden which Jim Harrison and his team help to maintain. It really is very peaceful there! Second Wednesday of the month please help! We are going to hear a lot more about the next big project which is to build a series of accommodation units to rehouse the now ageing men’s community at Tindall House. Tindall would then be used to house young homeless men. 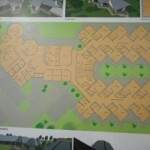 On the same site (which would resemble a small village) CFL wishes to build “close care” independent living accommodation, for which there is a desperate need, and a home which will provide excellent residential and nursing care for disabled and elderly people. 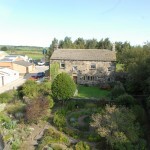 Architects drawings (by the Harrogate firm that designed the Granary) were on display. I heard several different estimates of cost varying between £6 and £8 million. Caring For Life video news.